Brand personality of media brands has not attracted considerable attention from researchers despite media industry being a trillion dollar industry with most brands riding on it for success. There exist four scales that measure media brand personality. They are focused on measuring brand personality of print media, news media, television news media and websites. Such scales that focus on single-mode content delivery, like print media have become irrelevant due to convergence led by technology. Business media has developed as one of the largest segments within media however research has so far focused on media holistically and not on segments within, even though the segments on their own are large and peculiar enough to merit dedicated research output. 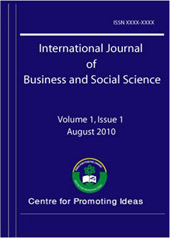 This paper seeks to create a brand personality scale for business media brands. It follows a combination of qualitative and quantitative methods to identify factors that contribute to business-media brand personality and later groups them into dimensions through principal component factor analyses and confirmatory factor analyses. The resultant business-media brand personality scale has 14 dimensions and is expressed in a hub and spoke structure.